Many expensive supercars now are more toys and show stoppers than cars for fast driving. 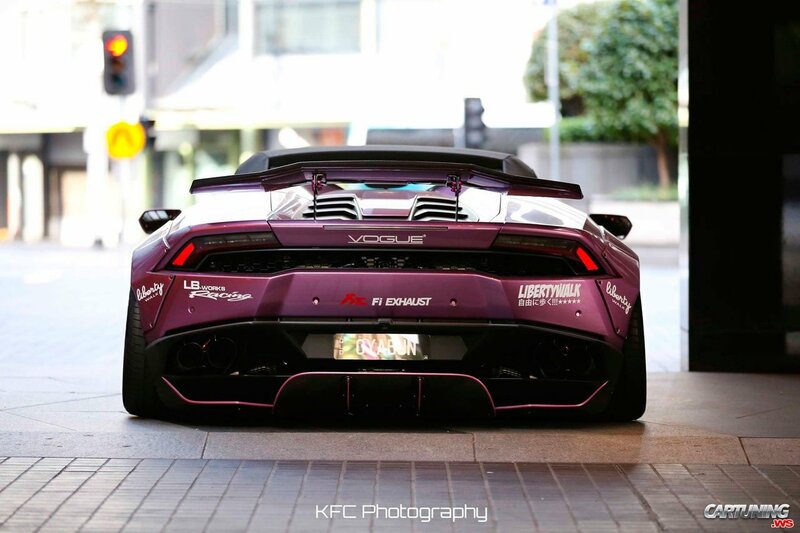 And this beautiful violet Lambo is such. Not stock painting, air suspension, wide wheels and wide body kit Liberty Walk is usual receipt.